Origin: Buñol (Valencia) in Spain. 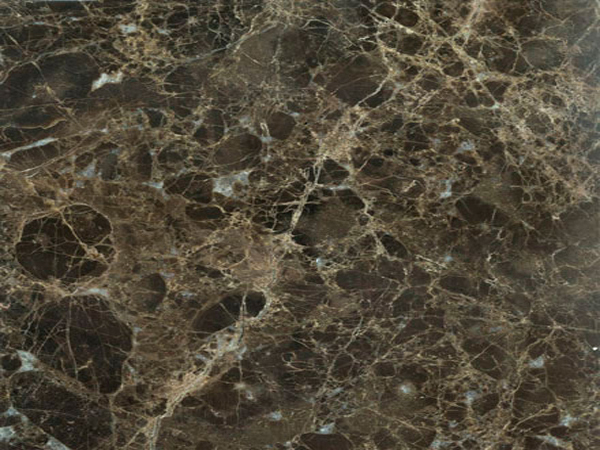 Appearance: Dark brown background with scattered fine and heavier white beige veins. Properties: This material has breakage lines; therefore it is not usual to stick loose pieces back together during production with a net on the reverse side. Open veins are filled. It is recommended to seal this stone to extend its longevity. Use: Due to its good wear resistance (class 4), this natural stone is suitable for internal use: floor, wall and stair covering, as well as bespoke stonework, in both domestic housing and in public buildings with moderate collective use.